Several days ago, M-Sport held a hands-on presentation of their latest product, Ford Fiesta built around the new R5 rally car specification. 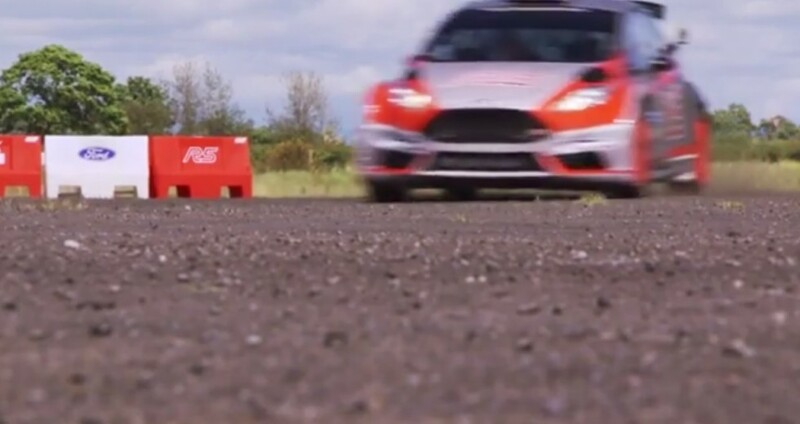 Selected journalists and reporters were offered a chance to get behind the wheel of the actual car, and see for themselves what Fiesta R5 has to offer. To ensure that learning curve does not end up being too steep, Matthew Wilson was the first in charge of driving, explaining the basics of car behaviour and mechanics. Then, journos & reporters jumped into the driving seat and took Fiesta for a spin. One of the lucky few, offered to sample M-Sport’s latest machinery, was Slovenian journalist, publicist, photographer, filmmaker and all-around rally guy, Gregor Pavsic. Known for his brilliant photo and video reports and stories, covering rally and other forms of motorsport, Gregor also displayed plenty of skill behind the wheel. Video suggests that Matthew Wilson could just relax and enjoy the drive. As for Gregor, well, I’m quite sure he had a blast. Who wouldn’t? Next story Was dust really so thick in Sardinia?